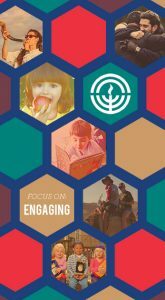 Federation and Foundation work tirelessly to engage, care for, and build Jewish communities in the East Bay, in Israel, and around the world. Our donors and partners help us convene our community to forge stronger connections, celebrate our heritage and identity, and respond in times of crisis. We help people engage with their local communities by providing financial aid for Jewish day schools and summer camps, offering personalized concierge service to connect new families to Jewish life, and funding youth programs and institutions like midrashot, Hebrew High Schools. We care for Jews everywhere, when they most need it. 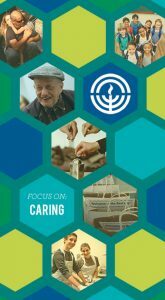 We provide humanitarian aid, food, and medicine to Jewish communities in conflict zones like Eastern Ukraine. We help Jews around the world — from France to Yemen — escape anti-Semitism by making Aliyah. 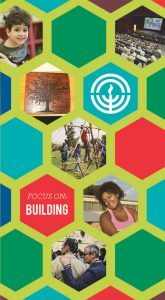 We build connections and strengthen our community by encouraging philanthropy, creating connections between the East Bay and Israel, training Jewish educators and community leaders, and supporting inclusive and diverse Jewish institutions.